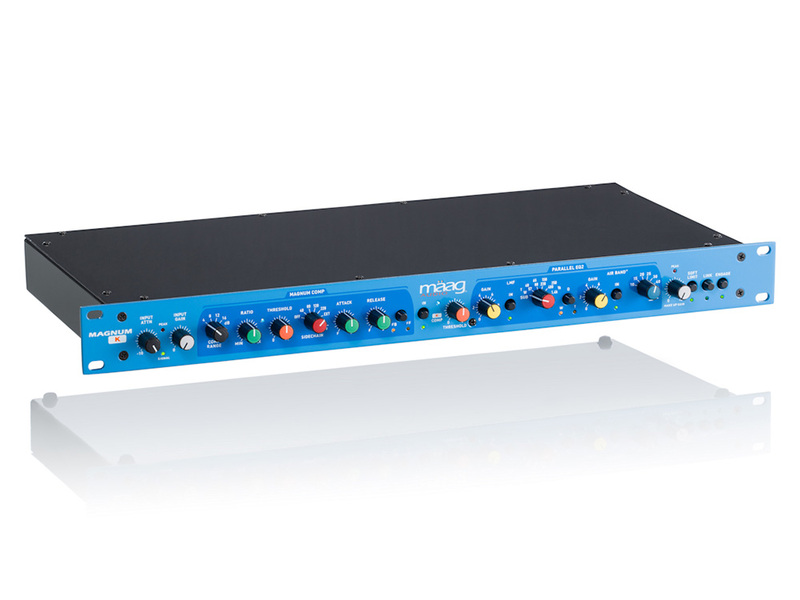 Maag Audio have announced their new MAGNUM-K Compressor, which is a single channel compressor made up of two compressor sections (MAGNUM COMP and K COMP), a Parallel EQ (with LMF and AIR BAND®), and a Soft Limit (soft limiter). Whether putting the finishing touches on a 2-mix or making a vocal sound bigger than life without taking your head off; the MAGNUM-K has been designed to help elevate your craft to a whole new level. The MAGNUM-K Compressor helps quieter sonic signatures become as big as you want them to be while simultaneously reigning in those louder, more dominant tones and offers control from its INPUT ATTN (attenuator) and INPUT GAIN controls, to its SIDECHAIN capabilities and MAKE UP GAIN. Controls are stepped (detented) to allow for easy recallable settings and channel matching. Call or Live Chat with an RSPE Specialist for more information on Maag Magnum-K.